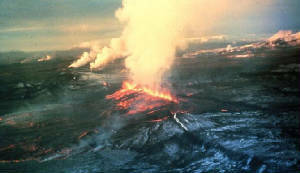 extreme weather conditions « CONSTABLE RESEARCH B.V.
On 8 June 1783 the Laki Volcano in Iceland erupted. During 9 months the volcano produced an estimated 120 million tons of sulfur dioxide. This amount was ten-times more than the amount that now comes from all of western European industrial sources in a year. The Explosion of the Laki Vulcano triggered the Explosion of the French Revolution. The cloud of sulfur dioxide in combination with a very strong El-Niño Cycle brought Extreme Weather Conditions for several years all over Europe. A huge amount of cattle and crops were destroyed causing extreme faminine and poverty. 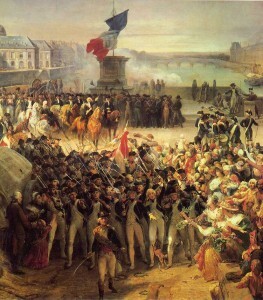 The great French revolution of 1789-1799 involved the most massive popular struggles that had yet been seen in history. Rooted in popular hatred of an oppressive monarchy, the revolution rose on the backs of the masses of poor people in Paris who united under the banner of ‘liberty, equality and community’. “Liberty is no more than an empty shell when one class of men is allowed to condemn another to starvation without any measures being taken against them. And Equality is also an empty shell when the rich, by exercising their economic monopolies, have the power of life or death over other members of the Community” (The Red Priest, Jaques Roux). The term “socialism” appeared in print in England in 1827. Five years later, the term was used for the first time in a French publication. Socialism is a product of the Industrial revolution in England and the French Revolution. One of the creations of the Socialistic Movement is the Cooperative. A Cooperative is a business organization owned and operated by a group of individuals for their mutual benefit. A Cooperative is the embodiment of the primary goals of the Revolution Liberty, Equality and Community. 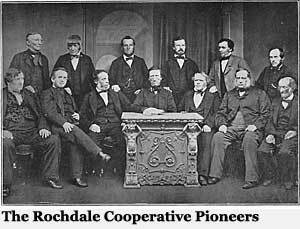 In 1844 a group of 28 artisans working in the cotton mills in the town of Rochdale, in the north of England established the first modern co-operative business, the Rochdale Equitable Pioneers Society. The weavers faced miserable working conditions and low wages, and they could not afford the high prices of food and household goods. They decided that by pooling their scarce resources and working together they could access basic goods at a lower price. Initially, there were only four items for sale: flour, oatmeal, sugar and butter. The Pioneers decided it was time shoppers were treated with honesty, openness and respect, that they should be able to share in the profits that their custom contributed to and that they should have a democratic right to have a say in the business. Every customer of the shop became a member and so had a true stake in the business. At first the co-op was open for only two nights a week, but within three months, business had grown so much that it was open five days a week. Within ten years there were over 1,000 co-operative societies in the United Kingdom. 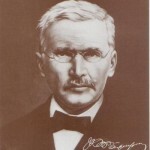 Wilhelm Raiffeisen founded the first cooperative lending bank, a credit union, in 1864. In 1867 Hermann Schulze-Delitzsch, a German liberal politician, obtained passage of a Prussian Law protecting Cooperative Associations. The Credit Unions evolved into a system of Cooperative Banking and Cooperative Insurance. The explosion of the Laki Vulcano triggered the French Revolution. The slogan of this revolution, liberty, equality and community, has inspired many other revolutions all over the world until today. The French Revolution was a revolution of the Underclass. It failed in the sense that the Calvinistic Bourgeoisie, the Middle Class, the owners of the Small and Medium sized Companies, took over the power from the Aristocracy. The Bourgeoisie took advantage of the poor, mostly unemployed, Underclass to create a new system of Dominance, the Capitalistic system. In this system the poor slaves were forced to do productive work in the factories. The capitalistic elite invented new (The Consumer, Mass Media) systems to prohibit a new revolution. 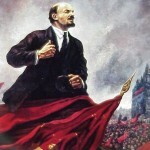 In the other countries (China, Russia, Cuba …) the revolutions of the underclass also failed. The old pattern of mass manipulation by a small elite always returns. At this moment we see a new System of Dominance emerging. It is the fusion of Capitalism and Fascism, The Big Brother State. The Big Brother State is using Mass Manipulation strategies in combination with Computer Technology (Pattern Recognition) and Mind Control. The only successful Social and Socialistic System that emerged out of the French Revolution is the Cooperation. This system has improved itself by introducing new structures based on Second Order Cybernetics (The Spiraling Organization) and new ways to create shared collaborative decisions (The Consent Principle, Sociocracy). When Cooperations are too big the burocrats take over control. The Active members of the cooperative change into Voters. The old pattern of mass manipulation by a small elite always returns. Succesfull cooperations have to be based on a Human and a Local Scale. The big burocratic corporations are unable to sustain in a huge crisis. 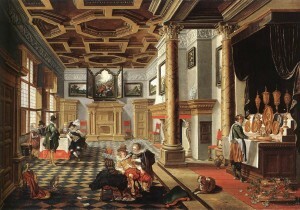 The cooperative banks were never able to start highly risky financial gambling games. The principles of Rochdale prevent this. At this moment the cooperative (now called a community) is on its return. Internet technology is created to support the cooperative. Cooperatives on a human scale (!) can be connected into big powerfull global networks. I believe the French Revolution has finally reached its goal. On May 22, 2004 an Open Letter to the Scientific Community was published in New Scientist. It was an open attack against the Big Bang Theory. Many scientists that are proposing alternative theories and related experiments are simply blocked by the “Big Bang Mafia”. The most interesting alternative to the Big Bang Theory is Plasma Cosmology. Plasma Cosmology uses the Electro-Magnetic Field as an explanation. The big bang relies on a growing number of hypothetical entities, things that we have never observed– inflation, dark matter and dark energy are the most prominent examples. Without them, there would be a fatal contradiction between the observations made by astronomers and the predictions of the big bang theory. In no other field of physics would this continual recourse to new hypothetical objects be accepted as a way of bridging the gap between theory and observation. It would, at the least, raise serious questions about the validity of the underlying theory. The big bang is not the only framework available for understanding the history of the universe. Plasma cosmology and the Steady-State Model both hypothesize an evolving universe without beginning or end. These and other alternative approaches can also explain the basic phenomena of the cosmos, including the abundances of light elements, the generation of large-scale structure, the cosmic background radiation, and how the redshift of far-away galaxies increases with distance. They have even predicted new phenomena that were subsequently observed, something the big bang has failed to do. Plasma cosmology is a theory generally attributed to Nobel Price winner Hannes Alfven that attempts to explain the development of the visible universe through the interaction of electromagnetic forces on astrophysical plasma. Plasma is a state of matter in which atoms and molecules are so hot, that they have ionized by breaking up into their constituent parts, negatively charged electrons and positively charged ions. Because the particles are charged, they are strongly influenced by Electro-Magnetic Forces. Plasma is almost everywhere. At least ninety-nine percent of the known universe is, in fact, matter in its plasma state. The Sun is a giant ball of plasma. Plasma in space consists entirely of ions and electrons, and is thus very energetic or ‘hot’. Only when cooled does it form the matter to which we are familiar here on Earth: solids, liquids, and gases. Because plasma remains electrically charged in space, it is influenced more by electromagnetic forces than gravity. In fact space, once considered mostly empty, has been found to be alive with plasma. Vast flows of charged particles have been discovered spanning hundreds-of-thousands of light years across interstellar space. The influence of the Electro-Magnetic Force is highly undervalued in many areas of Science. A holistic view on the effect of these forces on many levels (Earth (Earthquakes, Weather)), The Human (Emotions, Memory)) is called the Electric Universe. Recent interdisciplinary studies raise the possibility that the earth experienced a high-energy-density auroral storm towards the end of the Neolithic age, possibly peaking at around 3100 BCE, which human cultures have recorded in the form of petroglyphs, geoglyphs and a class of rituals and myths conveniently described as ‘creation myths’. The spectacular lively shapes caused by the instabilities in the plasma could have been remembered by the ancients as gods, ancestors or dragons, whose mysterious antics in the celestial world constituted the destruction and creation of worlds. In August 1996 the US Airforce produced a strategy document called “Owning the Weather“. The aim of this Strategy was to develop tools to modify the weather. At this moment many of the systems defined in this document are in full operation. One of the effects is a phenomenon called Chemtrails. A small citation “A global, precise, real-time, robust, systematic weather-modification capability would provide war-fighting CINCs with a powerful force multiplier to achieve military objectives. Since weather will be common to all possible futures, a weather-modification capability would be universally applicable and have utility across the entire spectrum of conflict. The capability of influencing the weather even on a small scale could change it from a force degrader to a force multiplier“. In 1999 Clifford E. Carnicom starts to investigate what the content is of the Chemical Aerosols the Sky Spiders (Codename of this project) are spraying in New Mexico. The Airforce uses Boeing KC-135 tanker planes. Later people in other countries see and experience the effects of the Sky Spiders. On of his statements “The conclusion to be reached from this study is that the microscopic air particle count in the state of New Mexico in 1999 is significantly different from that of the preceding three years, and that this difference is directly correlated with the observations of aerial spraying that have taken place during this same time period“. Sometimes information is “leaked” by an Official of the Airforce. “there are aerial spraying experiments. One involves aluminium oxide spraying related to global warming and the other involves barium stearate and has to do with high-tech military communications“. The High-Tech experiment is often related to the HAARP-project. Until today the spraying of chemicals is going on and on. They influence the weather and other things. Perhaps they influence your mind and they certainly influence your health and nature. The strange cloud patterns that are produced by the airplanes are called Chemtrails. The Airforce describes the chemtrail theory as a “hoax” and the chemtrails are added to the long list of so called conspiracy theories. The explanation of the Airforce is simple. The trails are produced by “normal” airplanes or are “normal cloud formations”. What do I think of this? My father was a farmer and he explained me everything he knew about the weather. Knowledge of the weather is crucial to a farmer. A few years ago I looked at the sky and perceived strange patterns in the clouds. They were created by airplanes. The trails produced a “haze” in the Sky. I live close to Schiphol, Amsterdam and I never see trails coming out of airplanes. The Planes that are producing the trails, the KC-135 Tanker Planes, are never flying commercial airroutes. They start and stop elsewhere (Germany??). Later I discovered the “Chemtrail Conspiracy Theory” and started to investigate this issue. Sadly enough I think the Chemtrail Conspiracy theory is right. It is possible to “make a mess of the weather” and if Edward Teller suggests “something” I am convinced he is also experimenting with this “something”. Los Alamos, the huge research-lab, of the Army, is situated in New Mexico. Sadly enough I am also starting to believe that other “Conspiracy Theories” are right. I am sometimes secretly informed by high level government officials. They inform me about issues I really don’t want to believe! I know what NATO was doing in Yugoslavia and what they are really doing in Afghanistan. I also know that Government knows that Mobile Communication is a huge health risk. We are preparing for a Future War and War is related to Secrecy. If the Enemies knows what we know he will do the same and we have to create something to avoid this to happen. Anticipation of Enemy Behavior generates Paranoid Behavior. Until the end of the Cold War the Enemy was one Entity (Russia). The US lost the war in Vietnam because of the fact that the Concept of the Single Enemy failed. Everybody is a Potential Enemy. At the time of the War in Vietnam the Enemy was Outside the Homeland. Terrorists are Enemies Inside the Homeland. We, the Citizins, are now the Potential Enemy of our own Government. Of course We are divided in the Good ones and the Bad ones. Just like real life it is often impossible to determine Who’s Who. The Bad Ones appear the be the Good Ones and vice-versa. To win the War on Life you have to Suspect Everybody. To win the War of Life you have to Act on Your Own. Watch out! I Feel Government Wants to Commit Suicide. SHE is developing Weapons that are directed at the People She Wants to Protect and Loves. SHE is preparing for a War against Her Self. Let’s give Her the Attention she really Needs. SHE is trying to do her utmost best to help US, the Good Ones to Survive. For more than five years I was responsible for the Security of a big bank. One of the responsibilities of Security is Disaster Planning. Disaster Planning is very easy until you want to implement the disaster plan. You just sit down with a small group of creative people and imagine everything that could happen to your company. You have be to as disastrious as you can be. When we performed our first Disaster Planning we asked the managers of the company to respond to every “Act of God” we could imagine. Soon we discovered that some questions could not be answered. They could not be answered because there was no data available or there was no “decision-structure (+ priorities)” that could decide what to do. The end of our first phase generated a lot of awareness and action. We even knew what would happen to the bank when the biggest disaster (a complete destruction of the computer centre) would occur. The answer was simple. The bank would go broke within 24 hours! The next step was to take preventive measures. Some of them where easy to implement. The realization of a back-up computer center was very expensive even if we priotized the use of the centre to the bare minimum. Suddenly all the disasters we imagined “would never occur” or could occur but with a very very low chance. We were Just Imagining. At the end we convinced the top management to take measure and we created a full back-up center. The load was divided between the old and the new center and the data was copied at both places. Soon after the back-up center was finished an airplane crashed very close to the data-center. I am telling this short story to open up your Awareness to another level of Disaster Planning. I want to do it on the level of planet Earth. Have you ever imagined what disasters could happen to our planet and what we/you would do if this really happened? What would it be to be without electricity, without heating, water, food, a doctor, medicine, a car, a telephone, work? What would it be like when many people were looting and you have to defend yourself with weapons to survive? What would it be like when there is no police or army to help you and you have to do it on your own? Have you ever imagined what decision-structure and priorities we would need to handle this? Any idea about the amount of money involved? Do you know where we can build a Back-up Earth? Now I Know what NASA is Really Doing! Do we have enough time (and budget and technology and ..) to save everybody when it happens? I hope so. If not we have to decide who will stay! Perhaps we have to Organize a Lottery! As a back-up strategy I advice you to do a Survival Training and build a back-up centre Yourself on a place on the Earth that will not be hit by “the disaster”! Any Idea Where to GO? Any Idea What to Look for to know when it Starts? Perhaps A Global Warming of the Earth, Strange Weather, a Food Shortage, a Worldwide Financial Crisis or April 2010? I Know where to Go, but If I tell you the place Everybody would Go there when it Really Happens! I Think I Keep it a Secret. The Renaissance was a Cultural Movement that spanned roughly the 14th through the 17th century. It started in Italy in the late Middle Ages and later spread to the rest of Western Europe. After the Dark Middle Ages, controlled by the Church of Rome, aimed at the Inside (Spirit and Soul), many people wanted to discover the Outside. The Renaissance is the Age of Discovery. 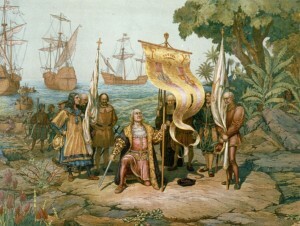 It is the time of Columbus. 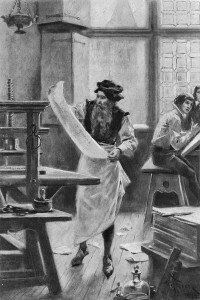 The printing press, invented in 1450, made it possible to distribute all the new knowledge all over the known world. The new knowledge is in reality very old knowledge. Renaissance means re-birth and the Renaissance is the re-birth of the knowledge (and wisdom) of the Greek and the Romans. This knowledge was forbidden and destroyed by the Rulers in Rome. It came back because of renewed contacts with the Arab Culture. At that time Arab Culture was at the top of its cycle. Art (Leonardo Da Vinci) and Science (Copernicus (1514)) exploded. Both of them were funded by the rich merchants (Medici, Venice). Scientists started to experiment and used advanced tools (Microscope, Telescope) to study the external world and the internal world (the Body). They looked with their own Eyes and not with the Eyes of the Bible. In the Arts the Perspective was invented. Artist used advanced tools (“camera’s) to support their own eyes to project the outside world on a flat surface. Another Re-Birth was the Reformation (Luther, 1517). The Bible was translated in many languages and distributed by the printing press to many people. For the first time people outside the Church could read and study Religious documents and compare them with Scientific Evidence from Greece, Arabia and Rome. The need to convert others to the Christian faith was huge. Many expeditions, Crusades, were send out to unknown territory to find convertible humans. The missionaries used the old fashioned trick learned from the Huns to force people to accept the Faith by violence. Millions of people were tortured and killed. At the outside of the Christian Empire the Arabs were attacking all the time. They were also very wealthy. The search for Gold stimulated the weapon-industry of the west. Not only the weapon industry flourished also the transport industry (Maps, Navigation, Big Ships) made a lot of progress. The combination of both of them (The Navy, “War-Ships”) helped the West to Rule the Sea. Production in the Renaissance was carried out by the Guilds, a Cooperation of Craftsman. They were almost in total control of every craft in the big cities. The Renaissance (Creation) is part of the Cycle of Western Culture. In this Cycle it was preceded by the rule of Roman Church (Control) and followed by the Industrial Revolution (Social). The rebirth was fuelled by an Expansion Phase (Fire). In this phase not only Arabic Culture expanded and rose to a high point also the new rulers of the West (Celts, Germans), the descendants of the Huns, created new Kingdoms and build the Cathedrals. The Cathedrals contained all the occult knowledge of that time (Sacred Geometry, The Spiral, The Light, The Four Forces,.). On a macro level we see an interesting pattern. The phase of Fire (Expansion, Practice, Summer, Sensory, …) fuels the phase of Creation (Up, Spirit, Idea, Eye, Winter, Mythic,…). Ideas are put into Practice or Practice generates Ideas. The combination of Sensory and Mythic (A Game) is called Invention or Exploration by Will McWhinney. The game of Exploration is an Infinite Game. Infinite games are about continuing the Game. Going Back to Jump to another Level is also a pattern that is visible in the most advanced theory about ecologies promoted by the Resilience Alliance (RA). The Ecology of the Roman Church dominant in the Dark part of the Middle Ages collapsed. It collapsed because of many factors. In this time the Plague killed millions of people. The Climate was very instable (An Ice-Age) and the new Kingdoms of the Huns and Celts were heavily expanded. They started to fight for dominance. According to the theory of RA a collapsing ecology reverts to a previous stage to rise again. What does this say about Innovation? Innovation is fuelled by an earlier (expansion) stage in history. It is triggered by a collapse of an Ecology. If we look at the current state of the world we see a Collapse (a Compression) of the World Wide Ecology. It will certainly generate a stage of Ideas and Creativity. This is needed to solve the current problems. In contrary to many ideas about Innovation the only way to solve the problems is to Look Back and Learn from History. We can learn from the Control Stage of the Middle Ages where one paradigm was enforced. At this moment Science is enforcing again one paradigm, the paradigm of Control, Abstraction, Technology, the Computer, Statistics and the Factory. They were created during the Industrial Revolution that was aimed at creating Unity (Every Thing is the Same). At this moment we are moving into the stage of the Center, Balance and Harmony. In this stage we always jump to a new level of Conscioussness. In the last Center-Stage the Religion of the Islam was born so the chances are high that a new World Religion will appear or re-appear. People that explore contradicting paradigms are excluded from the scientific community. This community controls the world of Inspiration just like the Guilds were controlling the crafts in the Renaissance. To innovate we need Freedom of Paradigm. We can learn from the Idea stage of the Renaissance. It teaches us that a Union of Art, Science and Spirituality is needed to support real innovation. We can also learn from a comparable phase in the Cycle, the phase of Harmony. In this phase the old is completely destroyed by an invasion of people outside its territory (The Huns). The West is trying with all its force to block a huge part of the Earth (the “Under-Developed” countries) to take part in its innovation. It creates (Economic and Legal) Walls just like the Roman Empire and the Chinese Empire created Walls to protect their territory from the Huns and The Celts when they were in their end-stage. The Under-Developed countries are of a Lower Culture. Perhaps these cultures carry something the West desperately needs. In these cultures the collective is more important than the individual. In these cultures the sick, the poor and the old are still taken care of. I believe this was the message Christianity wanted to bring to the World. Something went wrong in the West don’t you think?